We improved speed and scalability by migrating our client's feedback analysis to a serverless architecture. 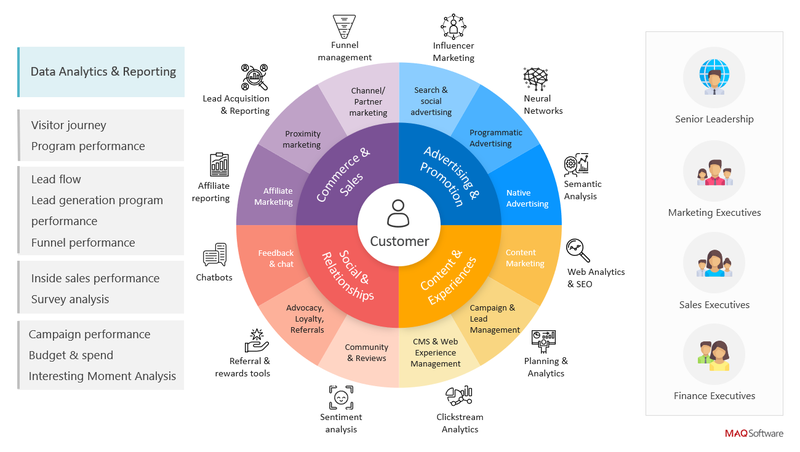 Learn how we connect marketing technology (MarTech) to business leadership needs. Here are our best practices for architects and developers. Calendar by MAQ Software is the most effective way to track events in Power BI. Our advanced tool takes exporting Power BI visuals to PowerPoint to the next level. We specialize in marketing technology (MarTech) solutions for Fortune 500 companies. We help businesses solve traditional marketing problems with cutting-edge solutions that build customer relationships, improve sales efficiency, and drive insights. Find and visualize data, share discoveries, and collaborate in intuitive new ways using Microsoft Power BI. Use cutting edge technology that allows software to observe, analyze, learn, and assist in ways previously thought impossible. Take advantage of a wide range of data solutions including campaign management, website optimization, data analysis, and data warehousing. Migrate infrastructure to the cloud to prepare for future growth and enjoy unparalleled flexibility. Unleash SharePoint’s full potential with fast-paced content migration, development, and testing services. Based on our collaboration with Microsoft teams, we have released 35 visuals that are available for free at Microsoft AppSource or on Github.